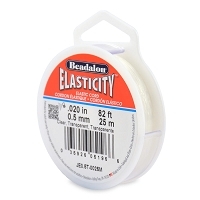 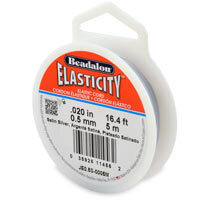 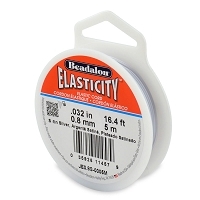 Get FREE Shipping on all Elasticity Bead Cord today. 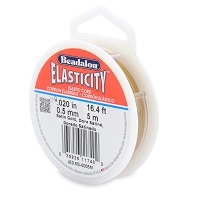 Elasticity Stringing Cord is extremely strong and very flexible and stretches like a rubber band. It is great for making anklets, stretch bracelets and hair bands. Elasticity is clear so you can use it in illusion style jewelry, and is a great choice for making stretchable jewelry.